Nila's LED fixtures are ideal for high-speed shooting applications. 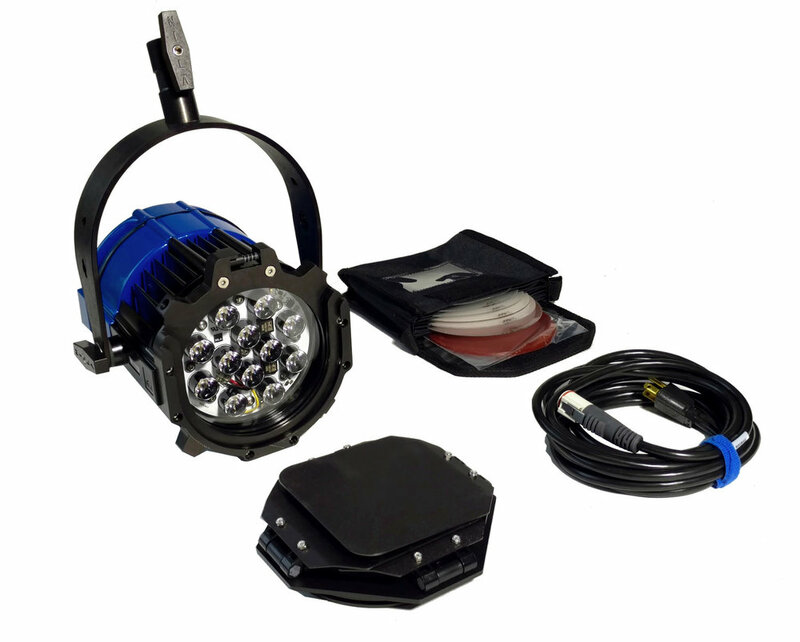 From industrial QC monitoring to ballistics testing, our lights are the fixtures of choice. All of Nila's fixtures offer flicker-free operation, "bullet-proof" build quality, low operating temperatures, and amazing power efficiency. Nila is the best choice for high-speed photography. Nila's fixtures produce light that's truly flicker-free at any frame rate when used at 100% output and at speeds up to 5000 fps when dimmed. Nila's fixtures add to your green bottom line by being power-efficient and recyclable. Not only will you save money on power consumption, you'll virtually eliminate maintenance and lamp replacement costs. Nila's High-Speed Capture Kit comes packed with everything you need in one convenient package. Total packed weight is less than 70 pounds. Nila's High-Speed Lab kit comes packed with everything you need for smaller applications in one convenient package. The Zaila is small enough to fit just about anywhere, yet it still offers impressive, flicker-free light output. The Varsa gives you a lot of light from a durable, lightweight package. The Boxer gives you that extra light when you need to illuminate a larger area. Nila's fixtures are also available a la carte so you can design the perfect lighting package for your application. Choose just the lights and accessories you need.